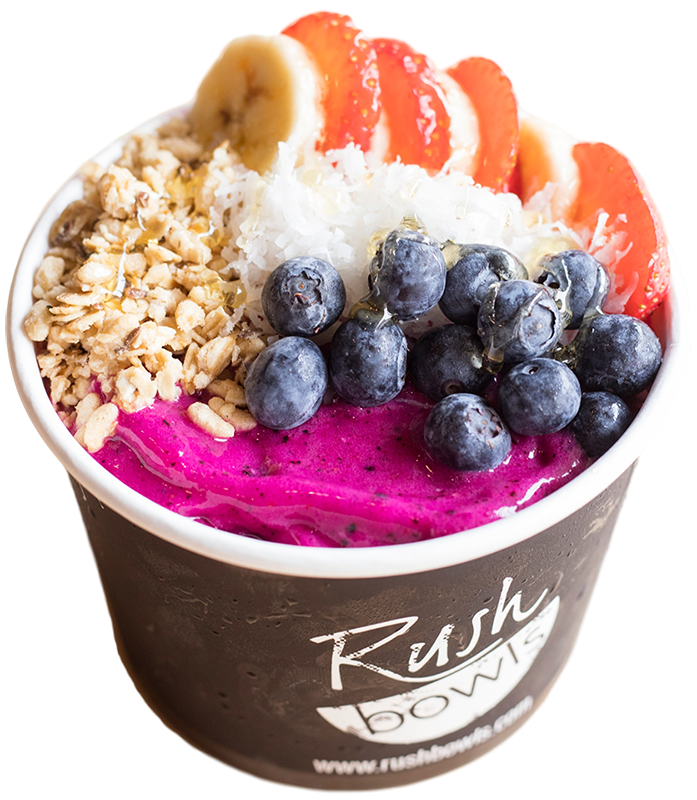 A Rush Bowl starts out with the finest all-natural fruit blended extra thick and creamy, to which we add nutrients, protein, juice or milk and an assortment of decadent yet wholesome ingredients. 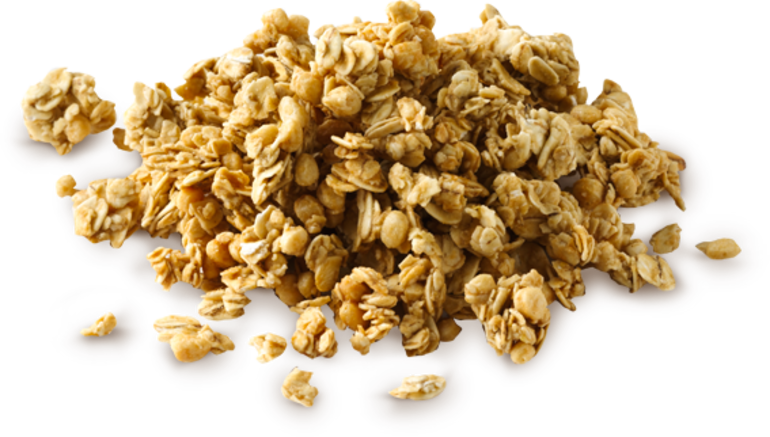 We top things off with crumbles of crunchy granola & a drizzle of the most delicious honey you’ve ever tasted. …whatever your RUSH might be! Welcome to Rush Bowls Columbus! 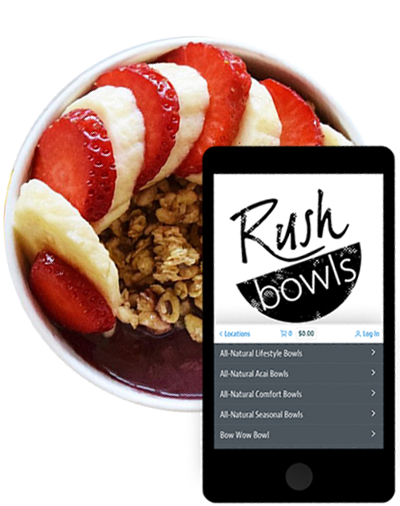 Here you'll find updates, online ordering, delivery, catering, hours and information for Rush Bowls Columbus, located near Ohio State University. 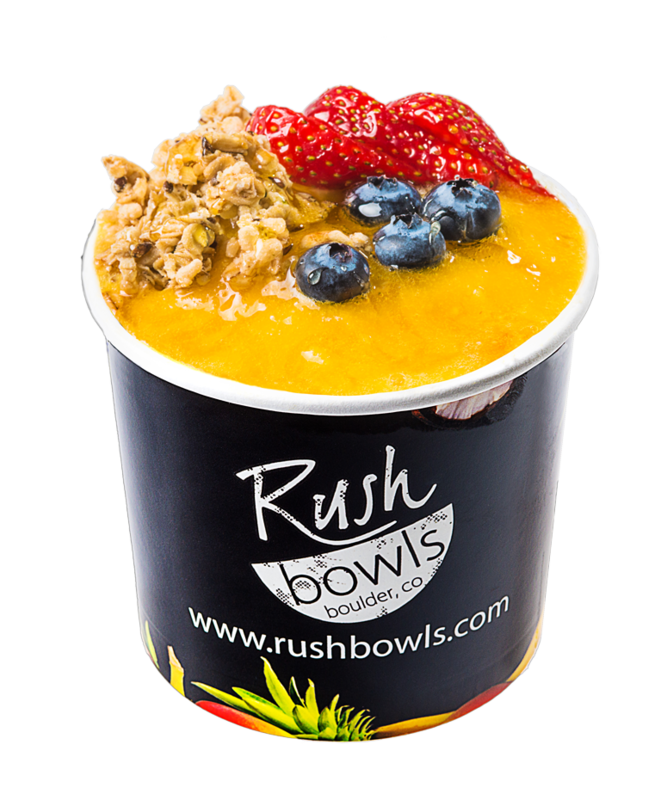 Rush Bowls' all-natural, creamy, fruit based meals and snacks are a great way to stir up excitement and energize your next meeting or event. No group is too large or too small. Place your catering order here and someone will be in touch within 24 hours to confirm. Please allow at least 48 hours for online catering orders. Please include instructions, bowl choices and delivery address if delivery is required. We will call to confirm details before completing your order. Many different varieties of bowls. Lot of healthy choices for a quick bite. Healthy and quick breakfast while vacationing in Boulder- loved it so much we will be back! 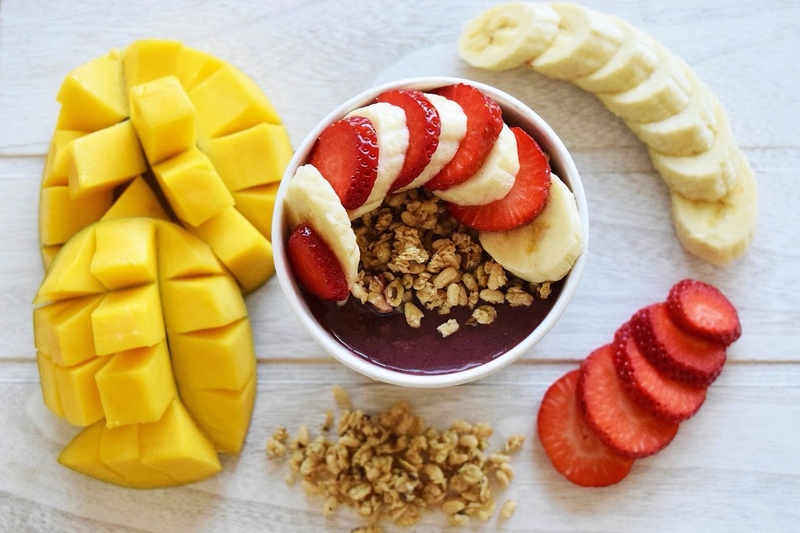 Great smoothies, even better açaí bowls! They are packed with nutrients and loaded with healthy goodies on top. My favorite is the power bowl- high in calorie and high in protein! The staff is always quick and considerate. Would recommend to a friend. Amazing bowls. Our group got 6 different ones and they all were fresh and very delicious. My daughter said she loved her fruit bowl. Not my cup of tea though. My first ever smoothie bowl and I highly recommend! The employees were super helpful with suggestions to try! Delicious, healthy, fresh and very filling!! Love this place!! Amazing bowls and smoothies, a definite go to in Boulder! While visiting the area we've been back twice and hope to go again before we leave. Excellent options, super healthy-this is not your chain smoothie place. Always fresh, place is clean, good customer service. Lots of different bowls and smoothies. A must try!! Fantastic Acai Bowls! It's a must if you are in Boulder! Fantastic!! I looooove açaí bowls and this place makes some of the best I’ve ever had!! Definitely plan to come in more often! I LOVE Rushbowls! Ive picked up here many times, and service is always fast, and with a smile. Parking is limited, but it is well worth it! Loved it! I ordered the beach Açaí bowl with blueberries and strawberries on top and the husband ordered peach cobbler with no dairy of course and we loved them! Mine was so so yummy and the guy that was working was super nice!! We will be back for sure! Absolutely delicious! The smoothies are full of real fruits (and veggies! ), the granola and honey on top is perfect. We came for breakfast because it was close to our hotel, and went back again the next day because it was so good! So yummy!! Very friendly staff and comfortable environment. Definitely a place where I'd come again for the millionth time! and bring some friends!! This is a cup full of joy! The staff here were super helpful and friendly. I had the beach bowl acai and it was delicious. I plan to come back and try several other things. I love it when some delicious is also healthy. I felt like I was back in brazil. The staff here were super helpful and friendly. I had the beach bowl acai and it was delicious. I plan to come back and try several other things. I love it when some delicious is also healthy. The guy working there was very helpful and the women making them was very sweet. We loved the Beach and Legend Açaí Bowl and ate the bowl clean! You'll definitely want to try this! I love getting a Rush Bowl on a warm afternoon. They have a big variety of bowls and my favorite is the Pecan Pie Bowl.Their granola is amazing and the frozen yogurt ad well. 5 stars they made it right! I have a new favorite each visit. Today's is Chai's Mystique Bowl! Just like Hawaii! I got the Legend açaí bowl and it did not disappoint in flavor. I only wish they added more fruit on top. Amazing, fresh, and healthy smoothie bowls! I love the creative smoothies and gluten free granola is available! I got a grapefruit smoothie and it was amazing. Also they have very reasonable prices. they have some good hangover cures. so I've been told. © Copyright 2018 Rush Bowls. ALL RIGHTS RESERVED.